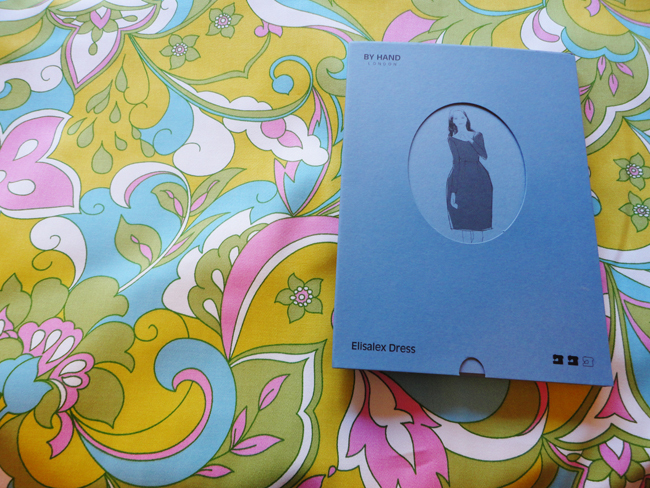 I spent this past weekend making muslins for two dresses (Laurel and Elisalex) and realized that due to my limited knowledge on fit my adjustments generally leave me feeling one of two ways, frustrated or ecstatic. It can be SO frustrating to make something that doesn't fit and not know how or where to begin to fix it. On the other hand, that feeling you get after things suddenly make sense and the alterations work is an amazing feeling! That's how it goes with leaning, though. The Elisalex sewalong is going on right now and before I cut into my wild fabric I want to have a muslin that fits well. Thursday night I started working on the bodice and everything went smoothly, including sewing princess seams for the first time (! ), but the fit is off. It's funny, it's easier to pinpoint changes that need to be made on other people's makes, but so hard for your own. I slept on it before making any crazy changes and I think I need to do a narrow shoulder adjustment, does that seem right? Or do I need to make other changes too? The wrinkle on the center of the bodice front looks prominent in the photo above because of how I'm holding the camera in my hand. It's not as bad in the photo below. In the past it has been suggested that I make narrow shoulder adjustments, but I didn't have much success with the method I was using. For my second muslin of the weekend (Laurel) I decided to try a different technique from Gertie's book. I made the shoulder 3/4 inch smaller and reshaped the curve for the sleeve. This meant that I needed to also adjust the sleeve cap, which I did successfully, yay! Laurel muslin. Wrinkles are more pronounced in this photo. The shoulder area no longer has the vertical lines, but now there are diagonal wrinkles :( Do you think it needs a FBA? I'm not sure, as I have never done one before. 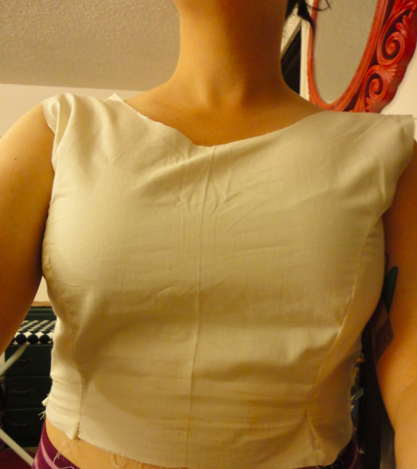 Or did I get too crazy with the shoulder adjustment and make it too narrow? Even though Laurel isn't completely ready for its final fabric, I'm pretty excited that I learned a new adjustment (and did it correctly :) )! I'm dying to sew up this pattern, the fit is a lot more flattering that the shift dress I made earlier in the year. Wow, you have been hard at work! I love your choice of fabric for the Laurel dress. So groovy! Before trying anything too crazy, why not try and "pinch" the fabric where you think it needs to be taken in (I.E. the top of the bodice for the first muslin) I am in no way an expert, but it does seem like the second muslin is a tad tight in the bust area ( in the high bust area), but just a smidge. What a productive weekend! 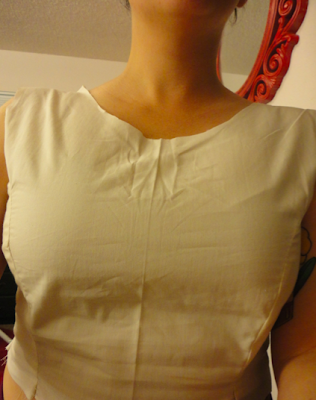 I think a narrow shoulder adjustment might do the trick on the first muslin. I have to do them on almost all my patterns. I'm not sure how to diagnose the diagonal lines on the Laurel muslin. I'm inclined to think a small FBA might help. Figuring out what alterations to make is so hard! I really wish this part of sewing was easier. I muslined these two last night: on Laurel, I would maybe omit your alteration and see how it fits as is. It looks too tight between the armhole and body. On Elisalex, I think maybe the weight of the skirt will pull down the under bust wrinkle, and I would muslin the bodice WITH lining to see how it looks completed. I think gaping sometimes is normal if you haven't added the facing/lining/etc. I doubt you'll require an FBA on the Laurel though, unless the normally drafted armhole/sleeve doesn't solve the wrinkles. Look at you, busy bee! I think you might need an FBA, too, because it's too big through the shoulders and you've got some excess fabric underneath the bust. You could fix those issues separately, but it would probably be easier to go down a size or two and do an FBA. I'm so excited to see both of these dresses on you! They're going to look so cute! The shoulder seam should fall right at knob on your shoulder where your arm and shoulder meet. It is just too wide. Since you appear to be 'well-endowed' you really need to learn how to do an FBA. Then you use a smaller size through the neck and shoulder. It is going to be great when you get the adjustments done. I've ordered a Laurel too! Have been thinking I need a kickstart project, and those prizesprizesprizes on Colette made me want to start sewing for myself again! looking good!!! I've made 2 Laurel's already and am working on my third :) I love that it's the perfect dress between a fitted garment and a loose baby-doll style garment. Remember that the Laurel is not meant to be fitted, so don't work it until it "fits" at the top. It should match your body's lines but skim the body. I hope that makes sense! good luck!!! I wish I could help with adjustment ideas but I'm only just starting to understand what to do and when and how for adjustments myself. The Laurel looks pretty good in the first picture though! Wow! Good on you for making your muslins!! I somehow keep forgetting that step lately (hehe) I'm gonna have to jump on the FBA train. I've never done one before (and I keep praying the girls stay right where they are so I never have to!) so I can offer no insights, but I feel like it's a very common alteration. I think going down a size and doing an FBA might be the answer to all your conundrums, narrow shoulders included! And I'm excited to see your Laurel, you just look so darn cute in shift dresses! I can't wait to get my hands on the Laurel pattern! Good job on your adjustments, looks like you are on your way to the perfect fit! Well, heck, I didn't know there is an Elisalex sewalong so that might get in the way of making Laurels for the contest. I'm glad to know that I'm not the only one frustrated with fitting adjustments! Thanks for referencing Gertie- I'll have to revisit her techniques. I had bust issues with Laurel, so maybe, just maybe, I'll do a FBA train hop-on. 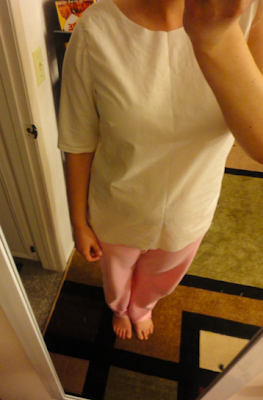 I started with the blouse since it involves no zips- super easy to do a wearable muslin! Good luck with your fitting journey! There are so many fun sew alongs going on right now! I did the FBA on the pattern last night and it went smoothly. I haven't sewn it yet though so I'm not sure if it worked! Thanks so much Sallie! I'm hopefully going to be sewing the muslin tonight, so I'm crossing my fingers! Oh man, those prizes are too good! Thanks, Sonja! I'm going to try out a FBA. Thanks, Burke! How funny is it that we are working on the exact same patterns?!?! I agree about the under bust wrinkle being pulled down by the weight of the skirt. 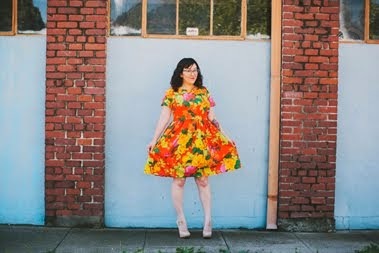 I was worried about the Cambie dress I made last year and the skirt weight solved everything. 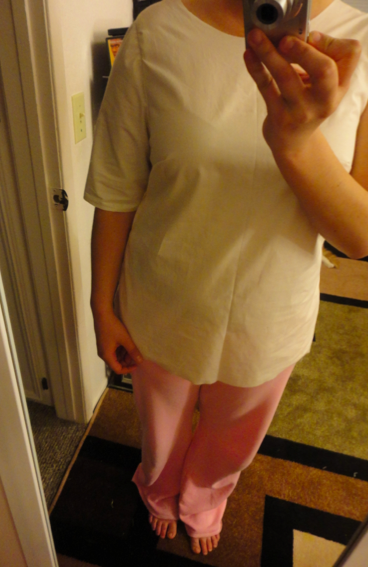 I think I still need to do a narrow shoulder adjustment on Elisalex, right? Thanks for sharing that link, Rochelle! That is like a gold mine for fitting tips! Thanks, Marrie! I'm going to try a narrow shoulder adjustment for sure! It is SO difficult figuring out what needs to be done. I feel like there are always a couple of options and get so confused. Luckily the sewing community is so helpful and awesome! Oh I will be watching with interest. I agree there are great suggestions and advice already plus I don't know what I'm talking about so will stay quiet and learn from the wings.lol.